Growing up there was not much TV watching in our home. While I was a toddler, my parents were in Bible college. At the age of twelve, we were on the road traveling to raise support for my father’s ministry. I can remember the small 13-inch black and white television that I was allowed to watch cartoons. It was a battle for my mother to pull me away from the tv to do my homework or anything else for that matter. After settling in Houston, Texas, there was a large TV that we got from my favorite grandmother once she’d passed away. The first television show I remember seeing in color was the Incredible Hulk. We would gather around as a family and watch it on Friday nights. It did not happen that often because I usually had a football or basketball game. My father did not have much time to watch television. When he did, it was usually something on PBS, or he’d catch an episode of Star Trek after us kids had gone to bed. One of my favorite movies that I enjoyed watching was something my father had taped on VHS. (Google it young people-it was before DVD’s) The story of King Arthur and the Knights of the roundtable. Even though it was make-believe, it had everything. Heroes, magic, good versus evil, and the sword fighting. Oh, how I loved the knights! The fact that my favorite knight was Sir Lancelot who stole the heart of King Arthur’s bride tells you where my head was as a teenager, but I digress. The man to man combats and swordplay that took place in each battle captured my attention like nothing else. I still enjoy anything having to do with knights. From King Arthur, The Crusaders, and another favorite is Robin Hood. Watching knights sitting tall in their saddles riding out to battle in their shiny armor still gets me excited in anticipation of what lies ahead. There is a battle that for most of my life, I lived unaware. The battle that takes place daily in the spiritual realm. I am not referring to cute little witches and goblins, but there is a real battle taking place with lives at stake. This battle is mentioned several times throughout scripture. God urges us to be on alert because until He comes again, spiritual warfare will continue in earnest. This spiritual warfare taking place does not apply only to men. Men and women of all ages, creeds, and colors are affected by this battle. One glorious thing about our Savior, Jesus Christ, He has not left us as Christians helpless in this spiritual struggle taking place. We too can head into battle prepared. The Armor of God. Just think about that for a minute. Can you think of anything better to dress in heading into battle? We cannot defeat the enemy in our own strength. The fact that Paul says to “put on” the armor indicates that the armor is always there for us. We don’t have to find the armor, but we must put on the armor daily preparing for the enemy. However, the spiritual battles can occur at any time. 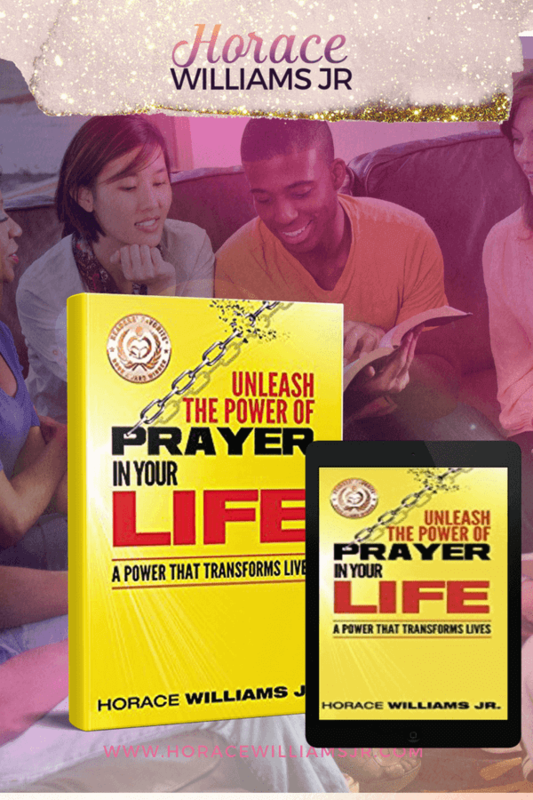 After publishing my first book at the end of 2016, I was rearing to go- marketing and promoting Unleash the Power of Prayer in your Life. Within days of publication, I encountered tremendous physical pain that prevented me from doing much of anything. The pain was excruciating, debilitating, messy and bloody. What’s going on, God? I thought you wanted me to write this book? Those were just a couple of the questions I said to myself as I was physically off and on the shelf for several months. It was so bad I couldn’t get in the shower and was forced to get bed baths. I felt like I was back in the hospital again. I was definitely in need of God’s armor. About six weeks after the book on prayer had published, I was able to interview with Marva Smith of SunSparkleShine. It was so refreshing and at the same time exhilarating to share why God had inspired me to write this book. Marva asked me some insightful questions and working with her was such a blessing. In fact, Marva would later volunteer to write posts on my blog later that year because she knew how much I was hurting. The Mother’s Day post she wrote is one of my most favorite to this day. One of the women who responded to my interview was Lori Schumacher at LoriSchumacher.com. She is a warrior for Christ, a mother, wife, and someone who has experienced the joys and pains of adoption. You can read the first chapter of her brand-new book titled Surrendered Heart for FREE out this month, by visiting her website. Lori left me a comment almost three years ago. I’m sure she has no idea how her words continue to inspire me. I was able to share her insights that she said to me at the men’s Sunday school class that I was asked by my assistant pastor to lead this Sunday Here is her quote word for word. “May your armor be complete” Just like the Bible states-God is instructing us that every single piece of His armor is needed every day. Can you imagine starting your day with the sword of the spirit-His Word, but not carrying the shield of faith with you as well? Or what if you don’t put on the breastplate of righteousness or you forget to put on your shoes of the gospel of peace. Do you think you may have severe struggles throughout that day? I believe so. I had never thought of myself as a target for Satan until that message from Lori. It did not make me fearful or scared. It gave me hope-hope because I was doing the Lord’s will instead of living for myself. As I shared in the Sunday school class, Satan was plenty pleased how I was behaving before my stroke. There was no attacks-in fact I’m sure there were days that He was cheering me on. Some of Satan’s favorite tools that he likes to attack us with each day are the fiery darts of doubt, fear, and discouragement. However, another one of his most effective weapons that is just as equally effective is ISOLATION. When I recommitted my life to Christ in 2012, the church where that took place was over twenty-five miles away from my new home. Since a family member totaled my car while I was recovering from my stroke, I usually had to make plans just to get there. It became more and more difficult to attend both church and Sunday school during this time in my life. That was so disappointing because my hunger to hear God’s Word at that time was ravenous. After a while, I had to stay home and listen to my favorite preachers on the radio or watch them on TV/DVR. I did not even begin to realize that I was living as an isolated soldier for Christ. God does not send us out to battle unprepared and does not desire for us to do it alone. When you live isolated, you become vulnerable to the attacks of Satan. Don’t be foolish and convince yourself that you are okay on your own studying your Bible and praying. Those are excellent things to do consistently in preparing your heart for the conflicts you may face. However, you need the in-person support, love, and encouragement of your brothers and sisters in Christ. Fellow soldiers who may be experiencing or have experienced a similar battle. It is with them you can find support. Now that I have moved closer to my sister, Sonya and her family. She picks me up and takes me to church on a regular basis. In the Summer of 2016, I became a member of Matthew Road Baptist Church. I am active with my Sunday school class and have made friends there with men and women of all ages. I am sincerely blessed by the fellowship of going to church with my family. Encouraged by the handshake or a hug from a brother or sister in Christ. Comforted knowing that the prayer requests I share are being prayed for by those who love the Lord. The assistant pastor has been willing to meet with me in my home for fellowship on a consistent basis. He has become a close friend and mentor in the process. Even Jesus was isolated in the wilderness for forty days and nights before being attacked by Satan with temptations. (Matthew 4) I that hope you will guard against isolating yourself on the regular. Yes, we all need quiet, isolated and refreshing solace at times, but remaining separate damages our effectiveness as Christians in this ongoing battle. This battle goes beyond just yourself. Is there a sister or brother in Christ you have not conversed with recently? Who comes to mind right now? Maybe you should reach out to them and go for a coffee or take a walk together or meet for lunch. Give them a phone call and pray with them. Send a quick email of encouragement to overcome the distance. Make it a point to ensure your brother or sister in Christ is not being isolated by the enemy giving Satan the advantage. We have the victory in Christ, so head into battle dressed in the armor of God surrounded by your fellow soldiers in Christ. Be on the alert for the enemy! Focused on the Forbidden Fruit or Focused on God? So much truth here, Horace! The battle is real and the enemy is subtle. But God… (How I love those two words!) God has given us what we need for the battle! Amen! Thanks so much for this! But God. Such inspiration and comfort from those words Deb. I’m glad you were blessed this post. Thank you for your support and encouragement. You are a part of the special forces unit of Christian’s that God has brought alongside to help in this battle. Thank you for your willingness to serve Him. Have a blessed Sunday and may God be with you and yours this Christmas season. The closer we get to Christ’s return, the hotter the battle is becoming, so we definitely need to be vigilant in having no chinks in the armor! Tea With Jennifer recently posted…What does Mercy mean? Yes, indeed, Jennifer. We need our brothers and sisters in Christ to help in prevailing over the enemy in God’s strength. The battle is definitely becoming hotter every passing day. Especially when you are seeking to glorify Christ. Thank you for visiting. I’m glad to read you enjoyed this post. Blessings to you as well. Horace – such a powerful spot on post about the truth behind isolation and the battle of the unseen. It is so true that when we step out in obedience to God’s calling it puts a target on our back. We must be prepared for the battle and be armored up. Having just released my traditionally published book back in August (my 3rd including self-pub) I thought I was prepared for the battle and armored up. But that enemy is a sneaky one and his lies, seeds of doubt, disbelief and discouragement come from every direction. When they do, I tend to isolate and withdraw and that makes it even more difficult to fight. We were not mean to do life alone, and standing together makes us stronger. Thank you for sharing your story and giving us a glimpse behind the scenes and even into your growing up years. I love how God had both Marva and Lori be blessings to your life when you needed it most. Thanks for stopping by my place today too, I hope you will consider joining my weekly linkup each Thursday too. I hope our paths will cross more frequently. Blessings and enjoy this coming Christmas Season. Thank you, Debbie, for the words of encouragement. I’m glad to read this resonated with you. I am so thankful for those that God has brought into my life to help out on the battleground. He is so faithful despite my weakness. I will have to remember to join you all on Thursdays. That is probably my busiest days most weeks as I meet with my Literary strategist every Thursday. (Another soldier that God delivered to help me out of the blue.) He is such a blessing on this writing journey. Thanks again for stopping by today. Blessings to you and yours this holiday season. Thanks for this reminder of the battle we’re in and that we do need God’s full armour, and one another. It’s so true that we are not meant to live, or fight, in isolation but to stand together and support one another. I’m glad God has brought people into your life to do that for you. Me too, Lesley. I am beyond thankful for the Christian warriors that God continues to introduce into my life. Every battle is different, but God has supplied me with helpers, encourages, supporters, instructors.and prayer warriors. We are never alone when we seek Him. I appreciate your visit today. Blessings. First, I enjoyed reading a little bit about your childhood. Yes, God’s love and support are like armor, aren’t they? It is so comforting to know that we are not in this battle alone. Praying for victory for you, Horace. Thank you for your prayers, Laurie. We are stronger when we pray for each other. The battleground is treacherous but we have victory in Jesus! Thank you for visiting today. I’m glad you enjoyed this post. I hope you have a wonderful weekend and God bless. We do all need support! Thanks for this reminder, Horace, that God often encourages us through the words of others and that we can be that same source of encouragement to others. Putting on the whole armor of God will keep us ready for the battles. Yes indeed, Lisa. All of us do need the support of other Christians. I’m thankful for the group of Christian writers, authors, and creatives that God continues to bring alongside on the path He has chosen for me. It is always a blessing to hear from you. I hope you and yours had a wonderful Thanksgiving. May God continue to bless you and yours this holiday season and beyond. Name *Debbie Wilson recently posted…What Does Faith Look Like? Amen, Debbie. Satan is crafty in the ways he goes about isolating us. May we always guard our heart and dress ourselves in the Armor of God staying prepared for his attacks.Thanks for visiting today. I’m glad you were encouraged by this post. Be well and God bless. Thank you for speaking this truth Horace! And thank the Lord for His complete armor, His help and presence in every battle. What a blessing to be reminded of the importance of not being isolated! Yes. All thanks be to God for not leaving us to fend for ourselves. We must purpose to dress in His armor in preparation for the enemy. Thank you for visiting, Bethany. I am glad you were blessed by this post. Be well and have a wonderful week of Thanksgiving. You know, Horace, we seldom know the impact our words or seemingly small actions might have. Yet, here you are, three years later, recalling how Lori’s words touched you and encourage you til this day. What a blessing! I’m so grateful God connected us — you, Lori, me and many of our other writing friends. I believe it’s part of His great plan to keep us encouraged and tied in to the Vine. The enemy wants to distract and discourage but with God’s help we will keep sharing His message. I’m honored to be on the battlefield with you, dear friend. Let’s remember that the battle has already been won! Amen, sister. I too am so thankful to have met such a sincere and welcoming group of Christian writers to encourage and uplift me on my journey home. I know one day we will see Christ, but until then, may we glorify Him in everything. Thank you, Marva for your willingness to stand alongside me on the battlefield sharing the message of truth. God is truth and in Him, we have the victory!